Nikki Miller, an SCV resident, is the founder and director of the Academy Swim Club here in our beautiful valley. She and her husband, Jim, have dedicated their lives to saving the lives of others. In 1994, upon returning from a lunch date, and after the babysitter had left, they saw wet clothes and vomit on the deck of their spa. Apparently, their 1 year old had crawled into the spa while the babysitter was inside the house on the phone. Their 4 year old swimmer, unable to reach him or stand on the bottom of the spa, jumped in and pulled his brother from the spa alone, saving his life, but only after much water ingestion. Since then, both Nikki & Jim have decided that water safety education would be a big part of their lives, doing whatever they could to help prevent these tragic events from occurring. 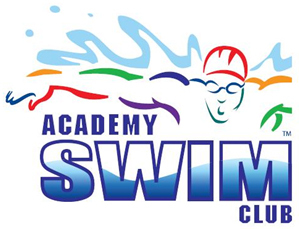 Offering both private and group lessons for children, the Academy Swim Club is one of the best places in the Santa Clarita Valley to teach your children how to swim in a safe and comfortable environment. Helping to teach children an important skill while also keeping them safe and active, they use their internationally recognized instruction program to work in quickly teaching young children how to keep themselves safe in the water. They are also taught different ways to swim, allowing them to enjoy water for the rest of their lives and keeping them active for years to come. Using the only private heated indoor swim school pool in the Santa Clarita Valley, Academy Swim club is able to create a comfortable place for your children while their highly trained staff and professional life guards can make you comfortable in knowing that your kids are safe. Providing children with a safe and comfortable location to learn how to swim and keep themselves safe when in water, Academy Swim Club takes time to do everything they can to make the experience a great one for both the children and the parents, and even have a licensed child therapist on staff to help your children as many ways as possible. Going for a swim is a great way to keep cool while dealing with the heat of the Santa Clarita Valley, and the Academy Swim Club knows how crucially important it is to make sure your children are safe while learning all about water safety.